While it is important to ensure that your vehicle is well maintained throughout the year, it is undoubtedly important during the winter months. With that in mind, in this short body of text, we are going to talk about six things you need to do in order to prepare your automobile for winter driving. Promotor Rent A Car give you few tips to driving in winter. 1. Make sure your car’s battery is in good condition and fully charged. Breakdown recovery companies gets thousands of battery-related calls every winter, as many people accidentally allow their car batteries to drain. Using interior lights and heaters without the car’s engine running in order to see and keep warm in cold weather is perhaps the main reason for this. 2. Ensure that there is enough anti-freeze agent in the coolant, as a frozen car engine can cost a lot of money to fix. Anti-freeze is currently very inexpensive and you can save more money by buying it in bulk. 3. Make sure that your vehicle’s tires are in good condition and that they have adequate tread. 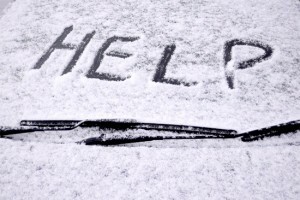 If a particular harsh winter is predicted, you might want to consider investing in some winter tires or snow chains. It is also important to check that the tire pressure is within the specified parameters. Remember, worn tires have a lot less traction and can make your automobile almost impossible to control in icy conditions. 4. Ensure that you have an adequate amount of screenwash in your car and also make sure that the screenwash is designed to withstand low temperatures. If you fail to use a high quality screenwash, there is a strong possible of your car’s washer pump freezing. 5. Check the condition of your wiper blades and replace them if they are damaged. During freezing conditions, wiper blades can stick to your windshield and it can be easy to accidentally damage them while trying to free them. Broken wiper blades are the last thing you want to deal with when driving through a blizzard. 6. Make sure that your car’s headlights are in full working order. During the winter, daylight hours are shortened considerably, so you need to ensure that your vehicle’s lights work properly. As you can see from the tips above, there are many things that you need to think about when preparing your automobile for winter. However, in addition to taking extra steps to prepare your vehicle, you also need to make sure that you adjust your own driving accordingly during wintry conditions.